A friend of mine recently got her iPhone stuck on reboot loop after iOS 10/9 update. 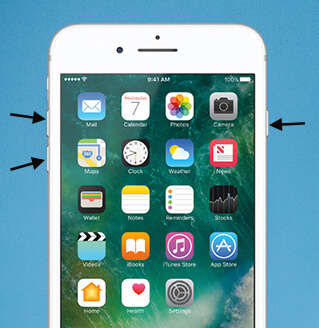 The iPhone 6 never boots into the home screen, it is just stuck with white apple logo on the screen and the iPhone keeps restarting itself. This is a very common issue occurs when updating to a new iOS or jailbreaking your iPhone, iPad or iPod touch. If your iPhone stuck on Apple Logo and goes on endless reboot after iOS 10/9 upgrade, you can fix this through a couple of ways. The reason why iPhone keeps restarting is hard to address. Insufficient storage for iOS 9 firmware, incompatible jailbreak tweak, app incompatibility, etc. all might cause this. Here are the feasible solutions to get iPhone out of the reboot loop problem. Reiboot is a freeware that especially designed to get iPhone enter and exit recovery mode by one click only. When iPhone, iPad, iPod is unresponsive, or suffer a reboot failure like apple logo, black screen, or continuous rebooting, Reiboot is the savior because you will not lose your iPhone data using it. Download and install this program on your computer, connect your iPhone which is unresponsive to computer. It supports all iPhone, iPad and iPod touch running iOS 10/9/8 or lower, whether jailbroken or not. Any iOS System Repair (ReiBoot) will recognize your device in recovery mode. 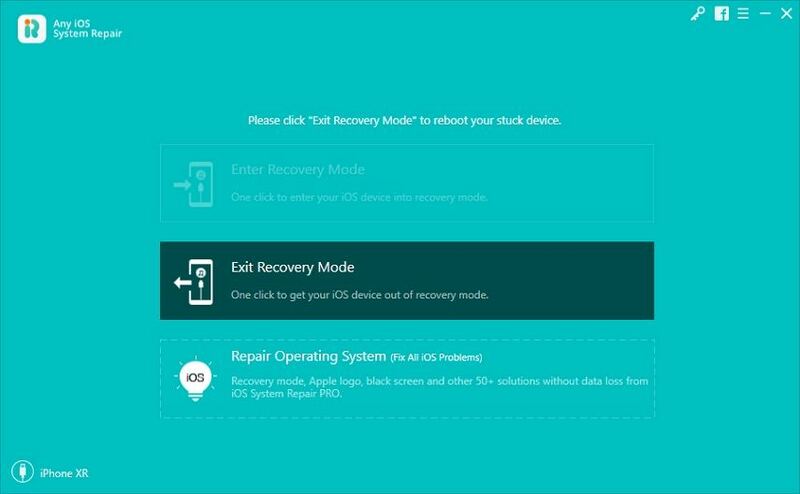 Click Exit Recovery Mode button in Reiboot, wait for your iPhone to boot up. After the rebooting process, your iPhone should get out of the endless reboot loop. If your iPhone is jailbroken and stuck in an endless reboot loop, most cases this is caused by a broken or incompatible jailbreak tweak that you installed. To get the iPhone out of the stuck issue, please press Volume Up button while the iPhone is booting up, you should be able to see the lock screen again. And then you can open Cydia and uninstall the tweak caused the constant reboot issue. If the Volume Up button is unresponsive, you can use the clicker button on earphones instead. If you have backup in iTunes, you can restore the iPhone in iTunes to fix the reboot loop or white apple (recovery mode) issue. Connect iPhone to iTunes with USB cable, the iTunes will detect that your iPhone is stuck in recovery mode. You can restore the iPhone from previous backup in iTunes. That is the three free ways to fix the constant reboot or white apple issue before you send your iPhone to Apple for replacement. If you got iPhone photos, messages, contacts, etc. lost during/after iOS 10/9 upgrade, you can get them by the help of iPhone Data Recovery.